Vitamin B12 has many important roles in the body. It helps to make red blood cells, build DNA, and maintains a protective coating around the nerves. 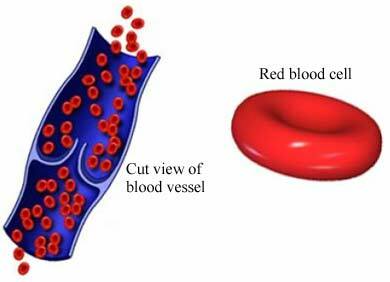 Anemia —low levels of red blood cells. Red blood cells carry oxygen throughout the body. Anemia can make you feel tired and weak. Problems with the nervous system—as nerves lose their protective coating. Daily high doses of an oral vitamin B12 supplement may help improve levels in the body. These dosages should only be given under a doctor's care. The doctor may advise injections of vitamin B12 into a muscle. Injections of vitamin B12 may be given frequently at first. When blood tests show improvement, the injections may be given on a monthly basis. This form of vitamin B12 supplement is as a spray through the nose. A bacterial overgrowth in the intestines can slow or stop the absorption of B12. Antibiotics may help to control the bacteria and improve vitamin levels in the body. Avoid long-term over-consumption of alcohol. As directed by your doctor, take a daily supplement containing vitamin B12. As directed by your doctor, give vitamin B12 to your breastfed baby if you are a vegan or vegetarian. Food sources of vitamin B12. Dietitians of Canada website. Available at: https://www.dietitians.ca/Your-Health/Nutrition-A-Z/Vitamins/Food-Sources-of-Vitamin-B12.aspx. Accessed November 7, 2017. Pernicious anemia. EBSCO DynaMed Plus website. Available at: http://www.dynamed.com/topics/dmp~AN~T116294/Pernicious-anemia . Updated May 17, 2017. Accessed November 7, 2017. Vitamin B12. American Association of Clinical Chemistry—Lab Tests Online website. Available at: http://www.labtestsonline.org/understanding/analytes/vitamin%5Fb12/glance.html. Updated April 24, 2015. Accessed November 7, 2017. Vitamin B12. EBSCO DynaMed Plus website. Available at: http://www.dynamed.com/topics/dmp~AN~T233168/Vitamin-B12 . Updated November 6, 2017. Accessed November 7, 2017. Vitamin B12 deficiency. EBSCO DynaMed Plus website. Available at: http://www.dynamed.com/topics/dmp~AN~T116899 . Updated December 4, 2015. Accessed November 7, 2017.